Cate Peebles is the author of four chapbooks, including The Woodlands (Sixth Finch Books, 2016), and James (dancing girl press, 2014). Her debut collection, Thicket, won the 2016 Brigham Award and is forthcoming from Lost Roads Press. 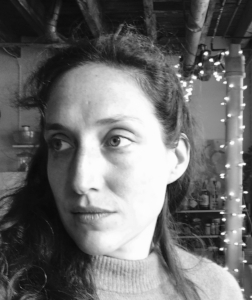 She is an archivist, currently working at the Yale Center for British Art in New Haven, CT, and a co-editor of the occasional online poetry magazine, Fou.